The current Administration of the United States has made combating what it sees as unfair practices and intellectual property theft by Chinese companies a top priority, and as a punitive measure has enacted significant import taxes on many products. Additionally these taxes are seen as a way to help domestic manufacturers remain competitive with Chinese imported goods, which historically have been available at a much lower price to consumers. These actions are predicated on a theory that a high enough tariff on Chinese-made products could lead to a resurgence of American manufacturing. 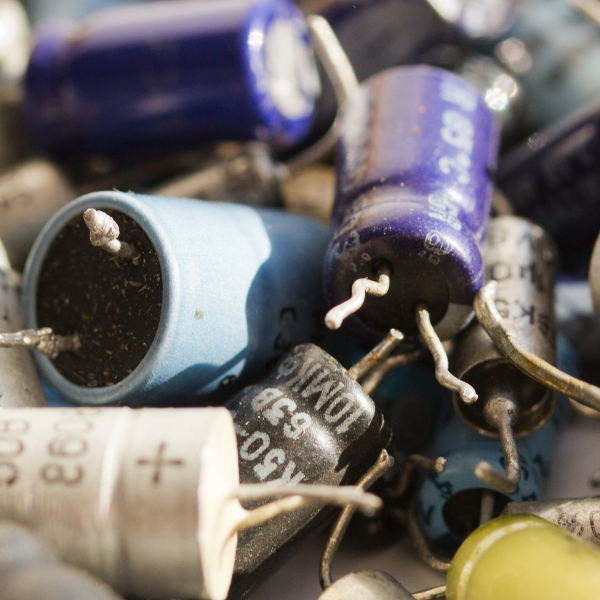 A side effect of these policies is that since individual components (LEDs, transistors, capacitors, etc) are subject to increased import taxes, even manufacturers who are building their products in the United States are impacted. It’s not as if US manufacturers can simply flip a switch and stop purchasing imported parts, the reality is that it will take time and capital to ramp up domestic production of these components. Even products which have remained proudly made in America will almost invariably use at least some imported components as a matter of course. What GoPro has decided to do is take the third option; in effect exploiting a loophole in the US-China trade war. If completed cameras will be subjected to high import taxes, and if cameras assembled in the United States would still require Chinese imported components, then the most logical course of action is to simply build the cameras in a country that’s not China or the United States. The company hasn’t announced which country GoPro will move their US-bound cameras manufacturing to, but bets are on another Asian country such as Cambodia or Vietnam where labor is cheap. Once operations have been set up in this third country, they will import the required Chinese components without the tax penalty, and export the final product to the United States. It will be the same exact product as before, made on the same machines as before, but now the sticker won’t say “Made in China”. In other words GoPro needs to secure a location in a third party country, physically move a few of its production lines over, and then hire some local labor to work it. At worst, this will result in a temporary reduction of manufacturing capacity. As a thought experiment, let’s imagine GoPro has ten assembly lines at their current Chinese factory. Rather than relocating all of them at the same time, they would simply be packing up and moving the four of them which represent the 40% of their sales slated for America. Since GoPro owns all the equipment needed to build their cameras, it’s merely a matter of logistics to move their assembly line to a (relatively) nearby Asian country as needed depending on the current geopolitical climate. With the specter of expanded tariffs looming over manufacturers, one wonders if such “mobile” factories will become increasingly common. Given how prevalent automation is in modern manufacturing and the level of homogeny between Asian factories, it stands to reason that a manufacturer should be able to take their own production equipment and simply move it around to find the best price on not only the facility to house it in but the workers to operate it. If nothing else, it may be that the US-China trade war ends up kicking off a new trend of what might be called “Nomadic Manufacturing”. Critics will no doubt point to GoPro’s move as evidence of the futility of the Chinese tariffs. Indeed, GoPro isn’t planning to bring the production of their cameras to America, and in the end they’ll still be using Chinese components. The flip side of the argument is that China may see these new “migratory” factories as a threat to their economy and make them more likely to capitulate in trade negotiations. For a country that’s often referred to as “The World’s Factory”, anything that incentivizes companies to manufacture their goods elsewhere is a problem. At the same time, the United States would benefit from a more diversified supply chain in the event of further deteriorating Chinese relations. GoPro has made it clear they are moving their US-bound production out of China by next year as a proactive measure, so they’ll be protected no matter the result of the current trade negotiations. If the situation improves and the tariffs are relaxed, GoPro will still benefit from more diversified production capability. If the tariffs are expanded, then they’ll have saved themselves millions in lost revenue. With no end to the trade war in sight, it seems likely GoPro won’t be the only company restructuring their operations to exploit this manufacturing loophole in the near future. Your article misses some of the important detail about claiming manufacture in a 3rd party country. There is a certain level of production which must be done in a country to claim it as the origin. But this doesn’t mean building from nothing by any means. You dont move a whole production line, you game the system because the system allowes you to do it ! For example the fortune 100 I work for manufactures in china. And has a seperate facility in a southern state which allows them to claim made in USA. But in USA doesn’t build from scratch. 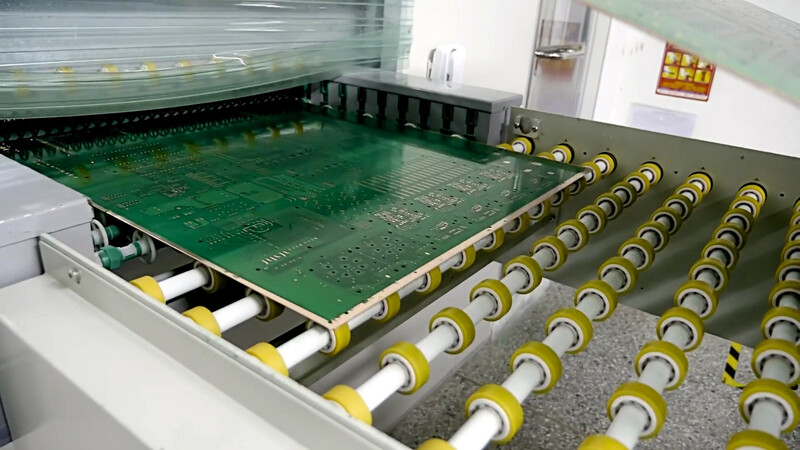 They start from a completed PCB shipped from china with components fitted (PCBA) and then load on the firmware, put the PCB in a case and ship it. The components come into the factory in a brown box and leave in a glossy coloured one. Manuals are added. CD thrown in. This allows enough percentage of work to gain the made in USA stamp and ability to bid for some government contracts with essentially the same kit that would otherwise be made in china stamped. There are zero differences in spec or commponents other than where final assembly took place. What are GoPro really doing outside of the press release and “jobs for ‘merica” rhetoric? Sounds the way cars are. Plenty of…Made elsewhere under the hood. cars are surprisingly locally made, sure some individual components come from elsewhere but there is a whole lot of assembly and labor that happens in the area where the final assembly is. I have worked for a tier 1 supplier for ford and i can tell you that the supply chain runs very deep. The wiring harnesses for example were all made locally even if the wire and connectors were sourced from another country. The entertainment and dash display units were all sourced from out of country but the majority of the plastic in the dash was molded in the country and often within 2-300 kilometers from the final assembly plant. The same goes for the metal stampings, all stampings are done fairly locally, the rolls may come from out of country but that isnt always the case. Pretty much the smaller and simpler of a product, the more likely it is made somewhere else but larger and complex products are often better off made here if there is the volume and price point to sustain it. Its not like ferrari will ever assemble anything here. I’ve worked in the GM and BMW plants in the US.. Almost everyone in the plant is there on H-1B, O, L, H-2B from other countries, and all the parts come from EU or China.. These are considered the most American cars made in 2018..
People who actually work in the industry laugh every time the US government tries to regulate imports.. A kid could get past this tariff cost effectively.. It’s the same with software and electrical engineering.. Without visa workers they can kiss all the complex aspects of 3D and compression and simulation good bye.. Indeed. There are rules and reg and percentages of work applied that go towards the claim. I don’t sweat the small print, I only undertand that it’s cheating, shameful, dishonest and legal. But then so is pretending to be a big American corporation and out sourcing everything to the 3rd world. It’s just how business is done these days and clearly there isn’t enough punishment for delocalisation. When one starts using terms such as, “punishment for delocalisation”, it starts to sound more than a bit orwellian. Are we protecting our economy or building a power base for politicians who produce nothing but strife? Why can’t we just create new industries and find new opportunities? Isn’t that what America was all about during the boom years? Isn’t that why so many humans want to come to America? You would do well to read the web page then, it clearly says: What does “all or virtually all” mean? “All or virtually all” means that all significant parts and processing that go into the product must be of U.S. origin. That is, the product should contain no — or negligible — foreign content.. Of course US manufactures are not always known for honesty, which is why I avoid buying ‘Made in USA’ as much as possible, prefer to just got to the likely source and not get ripped off with high pricing. As for not sweating the details, that would of course also be reflected in your QA then? It is always about the details! “What factors does the Commission consider to determine whether a product is “all or virtually all” made in the U.S.? M.B. yes indeed I read that. If you read the example :”Example: A table lamp is assembled in the U.S. from American-made brass, an American-made Tiffany-style lampshade, and an imported base. The base accounts for a small percent of the total cost of making the lamp. An unqualified Made in USA claim is deceptive for two reasons: The base is not far enough removed in the manufacturing process from the finished product to be of little consequence and it is a significant part of the final product.” you will see that in the OP’s example he said they added firmware to a fully completed PCB. I would consider the PCB in this case to be like the base in the example, a significant part of the final assembly. So the Made in USA claim would be false. “Assembled in USA” would fly though but that is not as likely to convince a US buyer to purchase the product. Once when I worked at IBM, we had some plastic parts labeled “Assembled in the USA”. The plastic part (singular) was embossed “Made in China”. It took me a while to figure out that adding the label made it “Assembled in the USA”. Your company still includes CDs with their products? I think the flaw in you argument is that the PCBs are imported from China. The tariffs would of already been applied there. It might not be as high of a tariff as the final product, but would think it will still be significant. Unless you meant to say shipping the pcb to another country with less or not tariffs outside the US from china. From there assemble the product, then sell it to the US from there with low or no tariffs. That is most likely what most company will do. Labor is china is getting expensive anyways. The tariffs just gave businesses additional incentive to move, but I am sure they were already considering other options to offset labor cost even before the tariffs. So companies will still try to use cheap labor overseas, and hide their money in tax havens overseas. It looks like nothing changes … No new jobs in US, no new tax income for the US. Molecular Manufacturing will turn everyone into a factory, and shift the work from “made in” to “designed in”. The US can compete on our minds instead of our muscles. European clergy (doing “mind work”) in the Middle Ages required an army of peasants to sustain them. Why? Designs for nearly anything one might want are free on the internet already! Whose going to pay the designers? The remaining jobs will be in mining/growing/creating raw materials. It will not be enough to give us all full-time work so either we will learn to cooperate with one another and each “donate” a few weeks out of the year to serve the greater good, or the majority will not work at all while a small under-class is enslaved or society will just fall all-together. I really do wish I could say it looks like we will go the nice cooperative route but all signs point towards one of the other two. Wasn’t in years past an individual who is reported to infamously suggested that everything that could be invented, has been invented? While that hasn’t been entirely sorted out, as to that individual was, your sentiment is similar, and probably as erroneous. Inevitable. The pending economic collapse in China will force it. Or the pending economic boom in China that finally gets Chinese workers the value they deserve will force it. Or the open warfare the Chinese military longs for will force it. Or the dictatorship of Xi and his relocations, re-education, labor camps, and prisons and executions will force it. The status quo has the Chinese vastly undervalued in an economy controlled by a thugocracy, and one would think it can not go one for much longer. Indeed. In the ’80’s everything was “Made in Japan”. Except for big items, like some cars, I can’t remember the last thing I bought that was “Made in Japan”. It’s because labor isn’t as cheap there anymore. So once we’re done raising all of SE Asia to “1st world status”, what’s next? Africa perhaps? Sounds almost Dystopian. The Star Wars Sandcrawlers was a vision of our future. Oh what a wonderful future this is going to be. Oh… I forgot the most important part. After a month or two the boat leaves to the next country and the workers are all left at the docks waiting for their next ship to come in. Migrant work, instead of migrant workers. Funny thing is, one of the pieces of internet advice often given is moving around for jobs. From Gig economy to migrants we’re headed that way where nothing’s permanent. Because the whole point is that the factory is changing it’s “home” country. Those workers would need to obtain work visas every time it moved! Also, I really doubt this kind of work is going to pay well enough that the workers can afford the transportation anyway. The factory isn’t going to provide it either, not when each port has a crowd of hungry desperate people ready to board ship and turn screws for less than what we would consider a living wage. Kind of works that way with cruise ships. They flag the ship with whatever country has the loosest labor laws and pay requirements. There was an article in National Geographic (decades ago) about the man who had a paper factory built on two barges and floated them up the Amazon(?) to get the factory closer to the trees. What a mess Ludwig made out of that. What a great way to deposit the dioxins from the paper manufacturing process directly into the most sensitive possible areas. You Sir are a genius, I must buy a ship right away! Wait until your factory ship gets taken over. Get a great book out of the experience though. I think there was share office space on a ship off the coast of Californian at some point. I’m glad our current administration is making moves that’s causing these companies to rethink how they manufacture and where they manufacture. Yes indeed it is great to expend vast engineering resources and create unnecessary manufacturing capacity in order to satisfy the whims of a madman. With the Chinese investing in African countries I think we will be seeing some of their production move there if the tariffs continue. That’s more about securing resources. Very important for a country primarily based on manufacturing, let alone growing itself. 2.5 million of your fellow Americans are in prison. Right because we all know China is providing accurate incarceration statistics for comparison. I foresee factories being built in large ships (think container ships) and then docked in whatever country is most beneficial at the moment, then piloted elsewhere when the economic or political conditions change. Well except with global warming, both more storms, as well as worse intensity kind of puts a kink in that plan. Yep in the best of consitions manufacturing in ships would be a beotch. Looks like it’s going to ‘spread the wealth around’ to other countries, along with bringing some outsourced manufacturing back to the USA. Good results in the long term. I don’t know what you are referring to but I can’t imagine any manufacturing involved in this article is moving “back” to the US. It’s not coming back to the US, but at least it’s not staying in China. That’s the point. Strategically, you don’t want to import everything from a single country. What would happen if we got into a hot war with China and trade was completely suspended? We need a diversified supply chain for national security. Domestic would be even better, naturally. But at least this is a move in the right direction. It’s ham handed economics at best. Asking “what if we got in a hot war with China” in 2018 is like asking “what if communist Vietnam was a threat to global politics” in 1961. I guess we’ll have those GoPros though, lol. is there really great strategic value in cheap disposable consumer electronic devices? “Cheap disposable” stuff like your TV, phone, computer, solar panels, and the majority of components in “domestically assembled” big-ticket items like cars, appliances, industrial equipment, etc etc? You can’t possibly think Chinese manufactured goods are limited to cheap electronic gadgets? Take a walk around your local store, or hell even your house, and try to count the number of things that AREN’T made in China. We might never get into a shooting war with the Chinese (although only a fool deals in absolutes), but we could absolutely enter into a decades long cold war which strains our relationship to the point where we end up with a shortage of basically everything. That’s not the time you want to be ramping up domestic production, or cultivating trade with other countries. We need to have a diverse group of countries we import from, and that absolutely includes Mexico. There’s literally no reason to rely on another country so completely to manufacture our goods. Honestly, I fail to see any logical scenario in which you could argue against a more diversified supply chain. What exactly is the counter argument? The point is to not go into hot war with any major power in the world. War usually benefits very few people at a very high price. “Hot war” was probably going too far. In the current world, the U.S. is in a Cold War with China, and this is sufficient reason to retain at least the capability of moving manufacturing to somewhere else. No manufacturing is going to return to the USA with out major labor concessions, not to mention environmental protection concussions. US labor concession will pretty much grantees US labor can’t purchase made in USA much less anything made elsewhere.” Spread the wealth is” a misdirect used by the merchants and property owners. The longer it takes for consumers and labor take to show it is they not the merchants and property owners that drive economies, the messier it will be when they finally do. all hail lord trump, MAGA.!!!! great read tom, keep up the good work!! So, now we have misspellings as clickbait? Sinking low, HaD. Rhymes with Sarif, and hints the Illuminati are involved. I’m looking forward to your upcoming hackaday article on how you manage to avoid acting like these lazy, greedy people! I have two “working around trade laws” work experiences. The first was with the U.S. facility of a game machine manufacturer. Our sole activity at this location was to take store returns of game consoles and “remanufacturing” them into new units. This was done by disassembling them into components (PCB, and the various metal and plastic parts of the chassis/case), testing the PCBs and repairing if easy, inspecting the cosmetics of the case parts and either buffing or discarding them as applicable, then reassembling. This was all done in the U.S., as the tariffs at the time were high enough to make this economical. The second was at a U.S. chip maker, where I was a test engineer, meaning, I developed the test fixtures and code for testing at the wafer level. What we did there was start with a fresh test machine (wafer handler + wafer stepper + laser trimmer + test computer), develop the test for a new product on it, then, I kid you not, put the whole system on a pallet, plastic-wrap it, and ship it to Malaysia. This allowed the wafers to be produced in the U.S. (we were doing chips that couldn’t be done on generic wafer lines, such as high-speed ADCs, RF chips for cell phones, and fiber-optic transmitters and receivers), then shipped as wafers to Malaysia, where testing and packaging was much cheaper. When you have several thousand dice on a wafer, it makes a difference.